There are hundreds of families of deployed service members and wounded warriors across the country that are at risk of not having a proper holiday meal. Our Adopt-A-Family program matches military families with volunteers to make sure there's food on the table and gifts under the tree. We will have over 1500 applicants for assistance this year and will have only about 800 matched up with an adopting family. 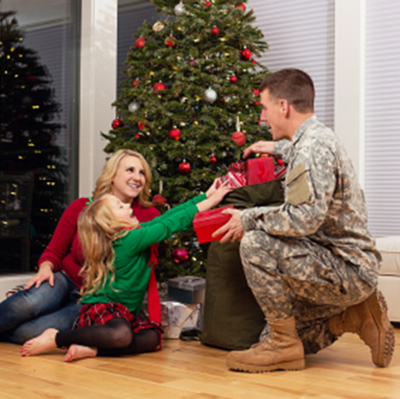 This leaves 700 military families still at risk of not having a happy holiday season. Can you help us raise the funds to provide a happy holiday for the remaining families? Donate now via our Go Fund Me campaign. You can even set up your own campaign to help the cause!